It seems Western Digital is yet to be fully convinced by the viability of using QLC memory to in its SSDs. We spoke to a representative at Gamescom who explained that because its TLC memory is still going strong we haven’t gotten to the tipping point yet where QLC memory can boast of any superiority over TLC. Western Digital is using its own 3D TLC NAND in its top-end WD Black NVMe drive, and that’s available in capacities up to 1TB with read/write speeds in excess of 3,000MB/s and 2,00MB/s respectively. That’s pretty quick. But it’s the potential density that QLC NAND offers which could make it the next big thing in consumer SSD storage. By being able to store four bits per cell, as opposed to three bits per cell in TLC NAND, QLC-based drives are able to offer greater storage capacities without adding excessively to the cost. It’s this combination of potential density and low pricing which is making companies such as Samsung and Intel shift focus of their more mainstream SSDs. But it’s not quite the holy grail of solid state storage just yet. When you’re storing more data inside the cells, however, it can have an affect on both performance and endurance. “As you go from SLC to MLC to TLC to QLC,” says the WD rep, “the endurance at the NAND level, and the reliability at the cell level, goes down, and the performance also goes down. 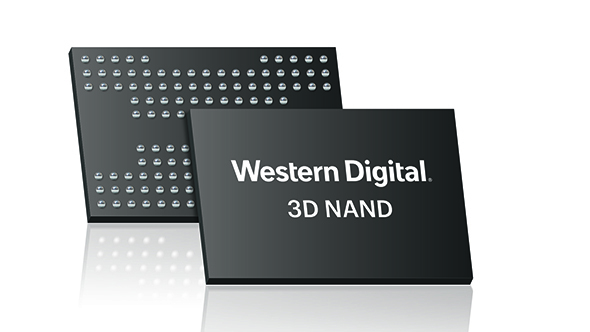 There is QLC NAND available to Western Digital, however, as the joint venture with Toshiba has produced some 96-layer QLC 3D NAND which could work out in the consumer space. Though that may well go into mainstream SanDisk drives first. One thing Western Digital does seem sold on is using, however, is its own memory controller in future SSDs. 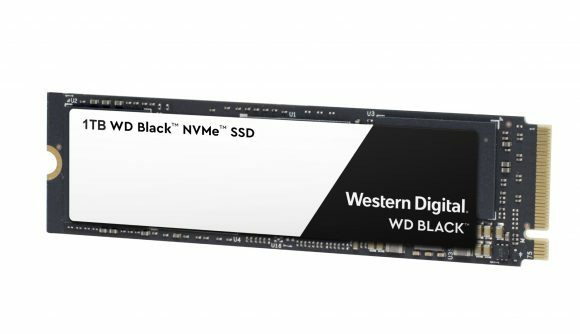 The high-end WD Black NVMe drive is the first of its products to use both its own brand memory and a completely in-house controller, but won’t be its last. It’s the same pairing of own brand memory and controllers that has allowed Samsung to take such a stranglehold on the SSD market, and that looks like the way WD is going to run its solid state business from now too.